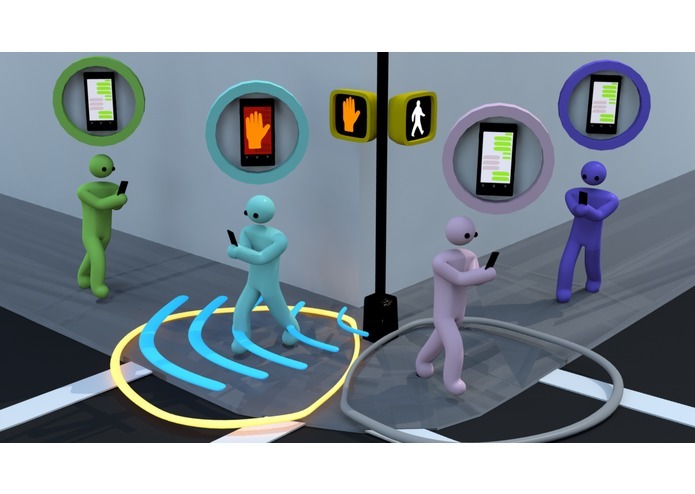 Existing infrastructure relies on a "heads-up" visual awareness; for a society frequently buried in smart devices we believe that pedestrian signaling must be extended to the screens of smart devices. 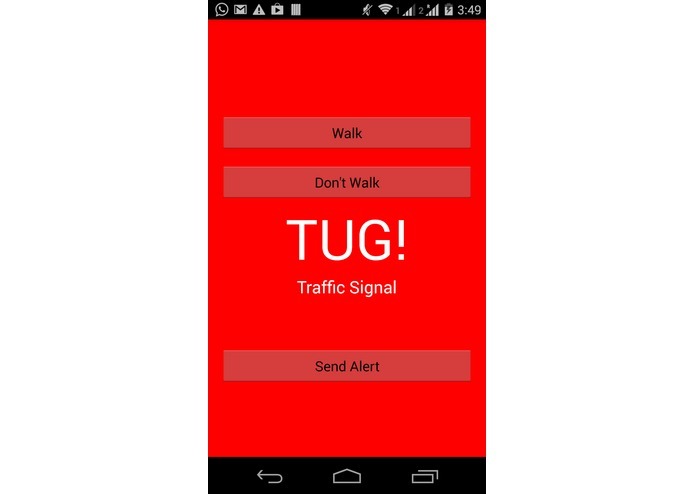 TUG sends localized phone-based alerts to pedestrians approaching crosswalks for which they do not have right of way. 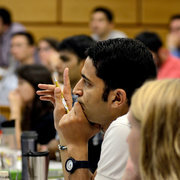 The solution specifically targets phone-engaged pedestrians who fail to take notice of pedestrian signaling. By re-engaging pedestrian attention to traffic signaling we believe TUG will help reduce phone-distraction related collisions. Blue man finds himself walking approaching a crosswalk for which he does not have the right of way. 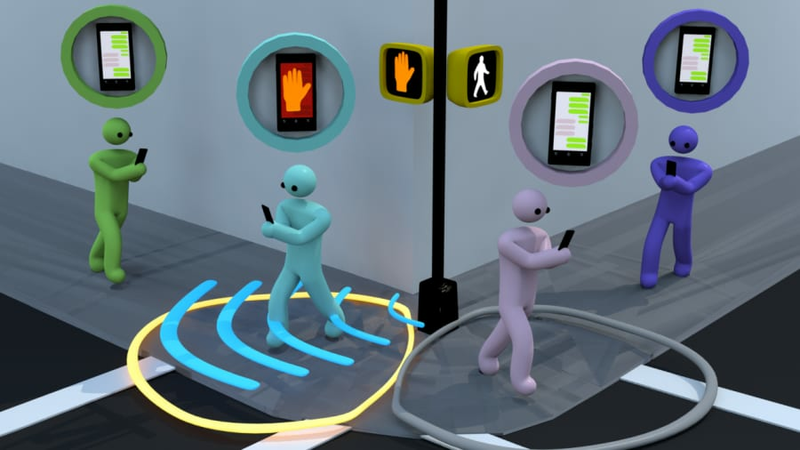 The nearby cross walk post sends a visual SAFETY HAND notification appears temporarily on his screen, serving as a reminder that he does not have right of way. The glowing orange circle indicates the affecting range of the pedestrian warning signal. We like to think of this reminder as a "friendly tug," analogous to a child tugging on the hand of a distracted mother. Likewise, observe Pink person in the same situation, for which Blue man is in the clear. 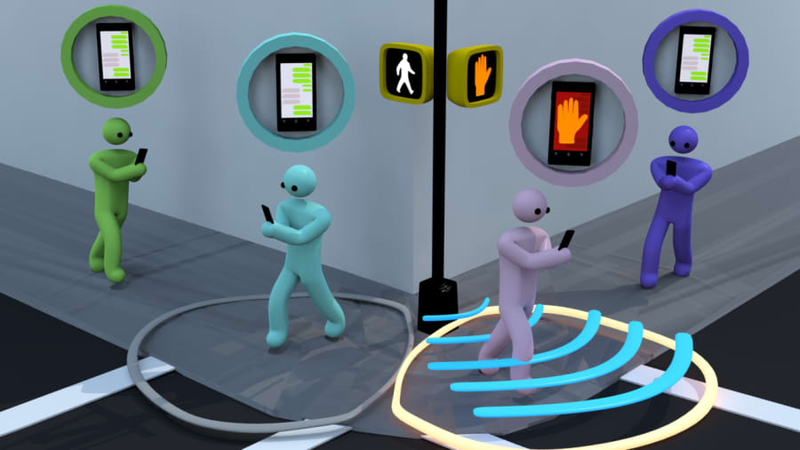 Technically, this solution is implemented using a tailored proximity bluetooth communication between pedestrian traffic posts and mobile phone users. 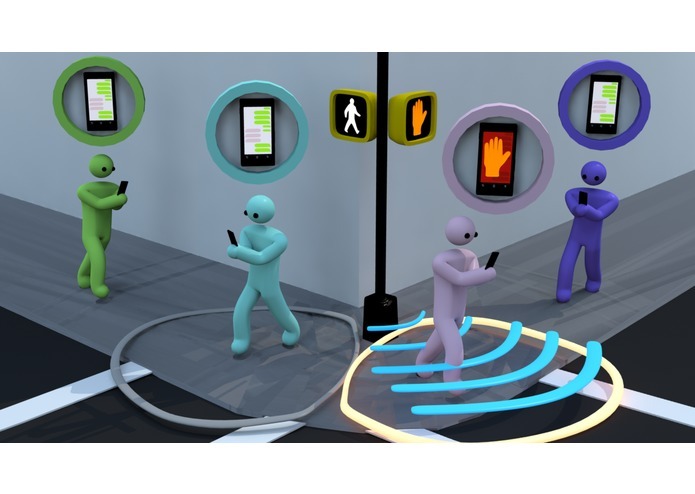 The "traffic post" module syncs with nearby phones and and sends out warning notifications (the SAFETY HAND) that becomes overlain on nearby phone screens. 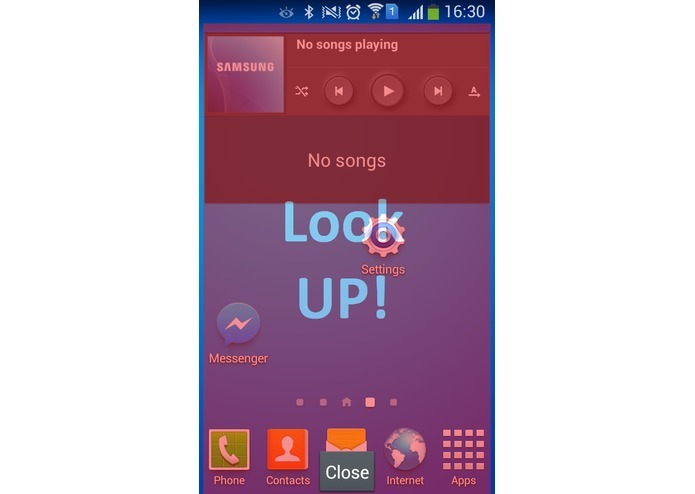 Phones run the TUG application. The application runs in the background awaiting connection to traffic the traffic post module. In practice our solution has been implemented using phone hardware; one phone runs the "traffic post" application and acts as the post with other phones running the "pedestrian" application acting as pedestrians. Tailored proximity is handled via physical shielding. 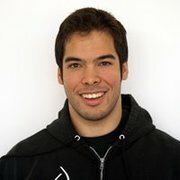 I enjoy creating things that genuinely help people.